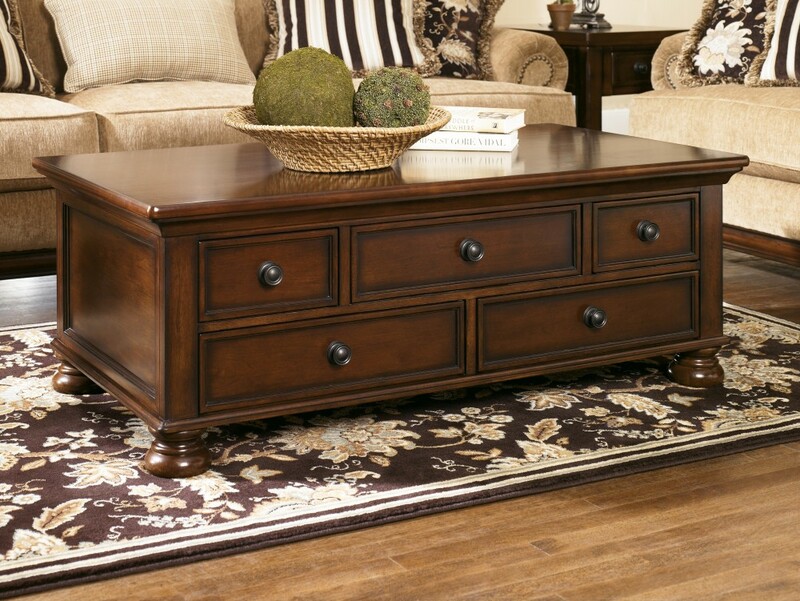 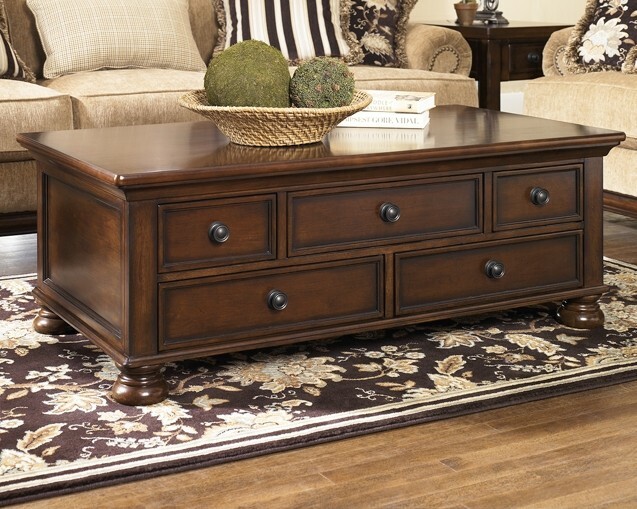 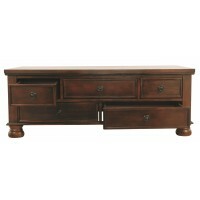 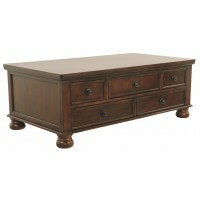 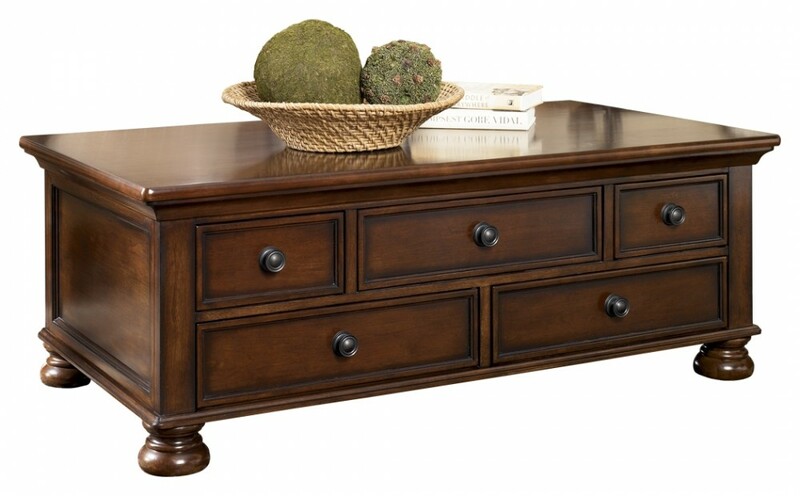 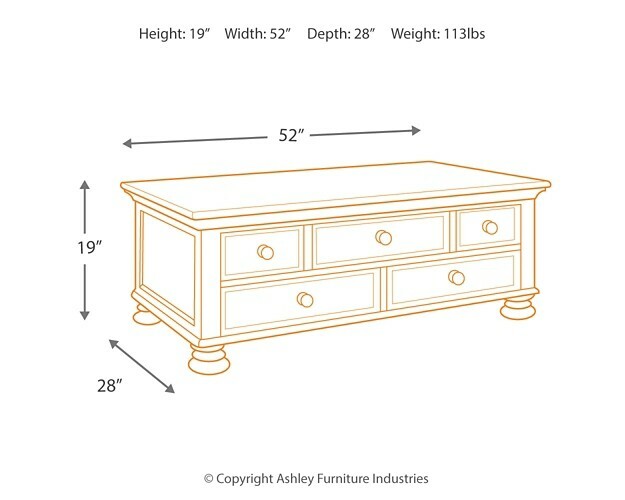 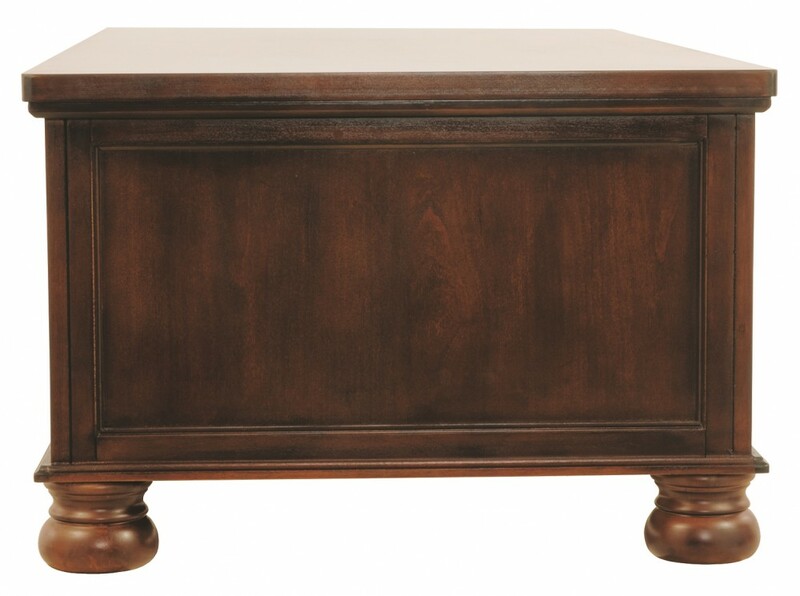 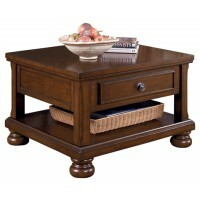 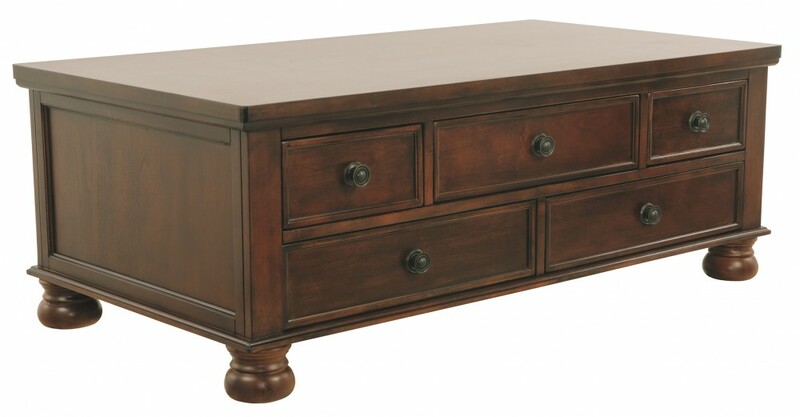 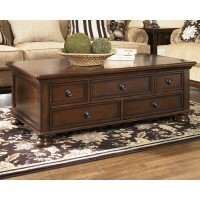 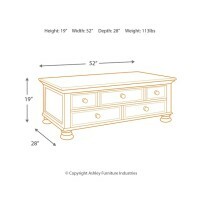 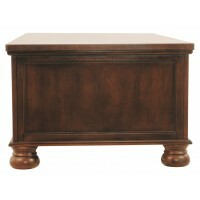 If beautifully warm and traditional suits your style, this rectangular coffee table might be your cup of tea. 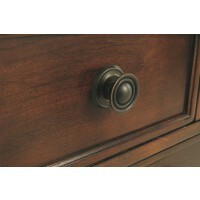 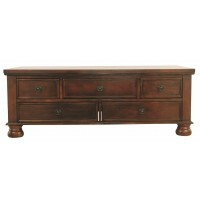 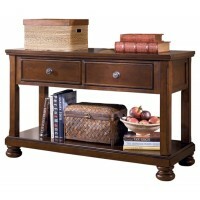 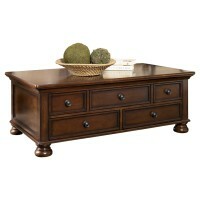 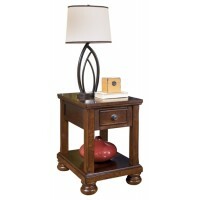 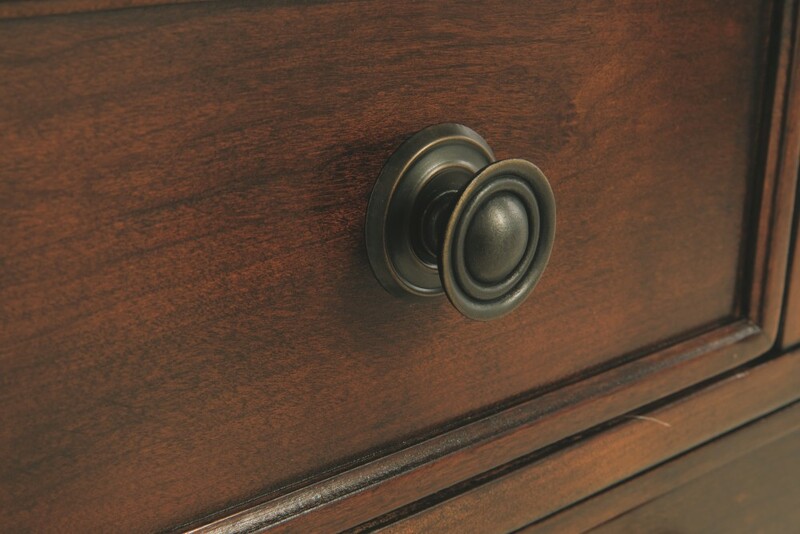 A burnished finish and classic bun feet exude a sense of relaxed elegance. 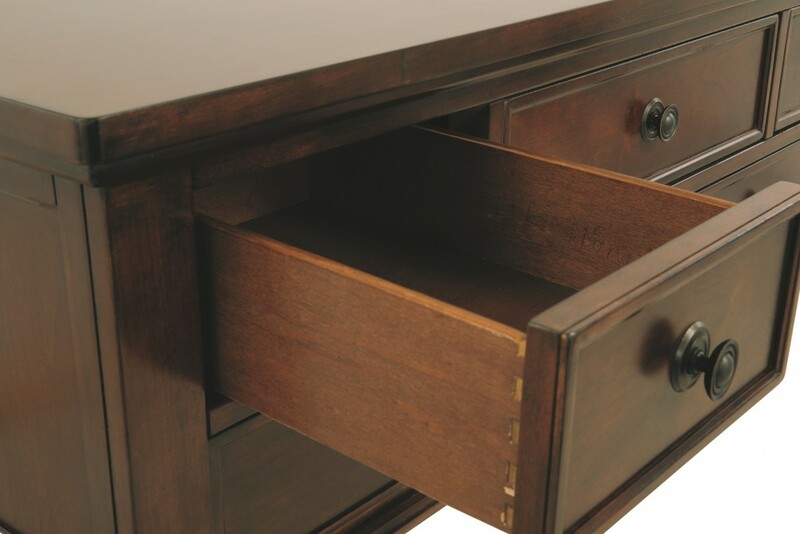 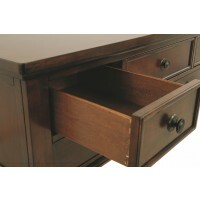 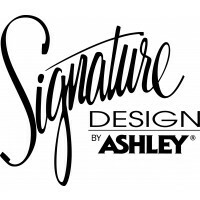 Five workable drawers make it packed with storage possibilities.